For Johnson County, Ind. farmer Joe Kelsay, it’s not just another day on the farm. He’s continuing to pump milk while a cloud of uncertainty hangs over his farm. “Right now it's a bit difficult to be a dairy farmer,” said Kelsay, standing in his milking parlor. “It was a little surprising to have this market and this market partner for so long and that relationship to look to be ending,” he said. Kelsay not only received a letter in the mail, but has also be in constant contact with the company he did business with for more than 25 years. “In our conversations with both field staff and top leadership, they're very frustrated that this the reality that they're dealing with,” he said. Kelsay is one of 27 producers in Indiana and more than 80 reported across the country who received the same notice from Dean Foods. North says producers ramped up production in response to an increase in overall dairy demand. 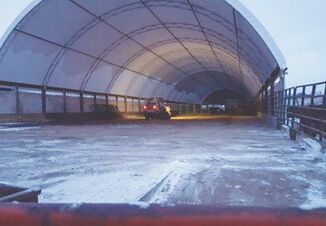 “Demand grew, especially at the world level and our producers made the investment, put their best foot forward, and they really rose to the occasion, and they really brought a lot more milk to the table,” said North. While overall demand has climbed, with appetites for items like chees and milk growing, consumer continue to drink less milk. That trend is adding to the oversupply pain. According to Dean Foods, since 1975, fluid milk consumption has dropped 11 gallons per person. That’s as the U.S. dairy industry continues to pump out more milk, at a rate of 350 more gallons of milk each year. It’s that combination that’s been lethal to the dairy industry, hitting farmers in the form of suffering milk prices. “A lot of producers’ cost of production is exceeding what they're getting in their milk check,” said Matthew Lange, a business consultant with Compeer Financial. North says higher milk prices hinge on what happens this spring. “If we can eliminate enough supply this spring that we become short in that supply as we approach fall, we do set the stage for that to happen,” said North. That may be easier said than done. In the dairy industry, eliminating supply isn’t an easy fix. “It takes two years to get an animal up to size to start milking, and then once you're rolling in that process, it's really hard to adjust that to the exact needs of the market,” said Kelsay. Adjusting supply is hard, and that’s one reason why he was overcome with concern when he got the letter from Dean Foods this winter. It’s that concern shared among many producers. While concerns still weigh on his shoulders, he doesn’t blame Dean Foods for the difficult decision the company had to make. “Dean Foods has been a great partner of ours for 25 years, and they have been nothing but professional about their approach,” said Kelsay. It’s those business decisions having an impact on farmers like Kelsay, but North agrees with the Indiana farmer: it’s not healthy to condemn Dean Foods or Walmart. 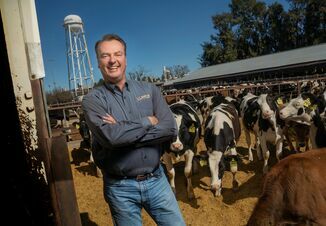 “This isn't just a Walmart issue, this isn't just a Deans issue, this is an industry wide experience where processors are overwhelmed by milk supply,” said North. Kelsay says that’s not stopping him from continuing to fight the challenges, searching for a new buyer; however, the reality is some producers may not find a new home. 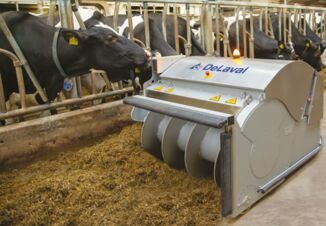 “In some situations, some dairy producers are going to have to sell not only their herd, but considering selling machinery, equipment, selling real estate as well, just to be able to cover their debts,” said Lange. As debts rise while milk prices don’t budge, he says it’s a harsh reality that’s set in. It’s that dilemma starting Kelsay in the face . Whether a farmer is forced out of milk production—or does so voluntarily—Lange says leaving the business isn’t a mark of failure. It’s not just hope that’s worked into Kelsay’s plan, as he remains determined a new market will surface, just like it did for another Indiana farm family this year. “We were always very positive that we would find a market for the milk,” said Minich. His family received a letter from Dean Foods in the fall that they had 90 days to find a new home for their milk. “We received notice in October and were able to find a new buyer based in Ohio,” he said. It was a search that took nearly the entire 90 days, but he says it’s positivity that got their family through. “We've farmed for six generations now, and it's the best way I know how to raise a family,” he said. It’s that same positivity carrying the Kelsays through this difficult time. As an eternal optimist, he knows he also has to balance it with being a realist. The reality is it’s not only his family, but employees whose livelihoods pivot on the success of the Kelsay’s dairy. As one door closes, he’s hopeful another door will open, as he works to keep his family’s legacy alive.